Reading Room and Rippleffect’s sales and marketing director has been named as the new chair for the DMA’s Council of the North. Based in Liverpool, Kirstie Buchanan will bring 16 years experience to the Direct Marketing Association. “Kirstie is a fantastic addition to the DMA’s community and her experience will be invaluable in developing our presence in the North of England. She’s already a passionate advocate for mentoring and ensuring the next generation of marketers have everything they need to succeed, so I look forward to working with her and the North Council in the New Year,” said Rachel Aldighieri, MD of the DMA. Buchanan works alongside a number of senior female business 0owners in Liverpool as well as mentoring young talent. “I am excited to be appointed Chair of the DMA North Council and look forward to working with the team to increase awareness and engagement across the region,” she explained. 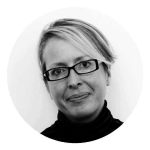 Kirstie Buchanan is sales & marketing director at Idox Group, the parent company of both Reading Room and Rippleffect.